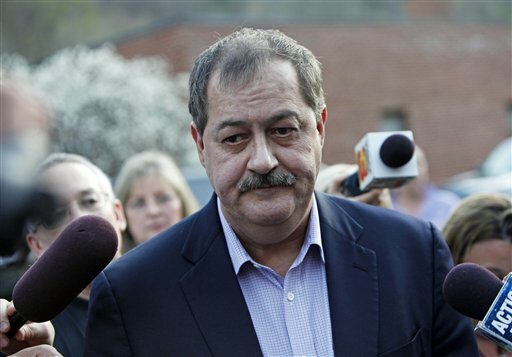 April 28, 2016 by Ken Ward Jr.
Last evening, the defense team for former Massey Energy CEO Don Blankenship filed the last of its arguments in its effort to keep Blankenship from having to begin serving his prison sentence while an appeal of his conviction is being considered. I’ve posted a copy of the defense’s latest filing with the 4th U.S. Circuit Court of Appeals here. Blankenship’s original argument to the 4th Circuit that he be allowed to stay free on $1 million bond pending his appeal is here, and the government’s response is here. — That U.S. District Judge Irene Berger gave the jury an incorrect definition of what constitutes a “willful violation” under federal mine safety laws. — That the indictment against Blankenship was legally insufficient because it alleged safety violations without identifying the safety standards Blankenship conspired to violate. — That Judge Berger refused to allow the defense a second shot at cross-examining former Massey official Chris Blanchard. For the 4th Circuit to stay Blankenship’s sentence pending his full appeal, the court has to be convinced that at least one of these issues raises a substantial question that, if decided in Blankenship’s favor, would warrant his conviction or sentence being overturned. Without action by the 4th Circuit, Blankenship is scheduled to report to a so-far unidentified federal prison on May 12. Federal district courts and judges in the courts of appeals know very well that the Congressional policy behind the Bail Reform Act and the subject of post-conviction and sentencing detention must be wisely administered, in order to protect the criminal justice system from the wrong perception that judges have two measuring sticks, one for regular criminals and a more lenient one for the white-collar defendant.